I submit that even more important than what one says, is what one means by what one says. Mormons have used traditional Christian terminology for as long as I can remember. Christian ministries to Mormons have always emphasized the need for those engaged in evangelical/Mormon dialog to define their terms. Why? Because we often say the same things – we use the same terminology – but we don’t mean the same things. “…read from the Book of Mormon some of the prophet Alma’s language about the life, ministry and Atonement of Jesus Christ, and how people need to ‘repent and be born again … (and) have faith on the Lamb of God, who taketh away the sins of the world, who is mighty to save and to cleanse from all unrighteousness’ (Alma 7:14). “To make our repentance complete we must keep the commandments of the Lord (see D&C 1:32). We are not fully repentant if we do not pay tithes or keep the Sabbath day holy or obey the Word of Wisdom. We are not repentant if we do not sustain the authorities of the [LDS] Church and do not love the Lord and our fellowmen. If we do not pray and are unkind to others, we are surely not repentant. When we repent, our life changes. “1. As Joseph Smith said, to be born again one must first ‘see’ the kingdom of God, or gain a testimony. “Joseph Smith taught that there were certain sins so grievous that man may commit, that they will place the transgressors beyond the power of the atonement of Christ. If these offenses are committed, then the blood of Christ will not cleanse them from their sins even though they repent. Therefore their only hope is to have their own blood shed to atone, as far as possible, in their behalf. This is scriptural doctrine, and is taught in all the standard works of the Church. The doctrine was established in the beginning, that ‘Whoso sheddeth man’s blood, by man shall his blood be shed; for man shall not shed the blood of man. For a commandment I give, that every man’s brother shall preserve the life of man, for in mine own image have I made man’…And men for certain crimes…have placed themselves beyond the redeeming power of the blood of Christ.” (Doctrines of Salvation 1:135-136 . Emphasis in original). “David’s story is one of tragedy and a lesson to all of God’s children, because he went from the height of favor with God to the depth of wickedness. He had all that this life could offer, but through sin he lost exaltation and the right to be eternally with his Father in Heaven. Dr. Mouw is right that Mormons and evangelical Christians sometimes sound alike – sometimes we say the same things. But we don’t mean the same things at all. There is no commonality in what Mormons and evangelicals mean when we talk about Jesus and His atoning work. Mormons (if they conform to the official teachings of their church) and evangelicals (if they conform to the teachings of the Bible) do not believe the same things, no matter how alike we may sound. Dr. Mouw needs to understand this. In fact, Dr. Mouw needs to read the manuals. This entry was posted in Baptism, Book of Mormon, Forgiveness, Jesus Christ, Repentance and tagged Baptism, Blood Atonement, Book of Mormon, Born again, Church of Jesus Christ of Latter-day Saints, Forgiveness, Joseph Fielding Smith, Joseph Smith, LDS Church, LDS Manuals, Mormon Church Manuals, Mormon Scripture, Mormonism, Repentance, Richard Mouw, Spencer W. Kimball. Bookmark the permalink. I’m wondering if Dr. Mouw is in fact a Christian. Certainly his C/V sounds impressive “evangelical author (and seminary president emeritus)” but what does that really mean? Some people prefer to say ‘cemeteries’ rather than seminaries & I would say from some of my experiences over the years there’s more than a grain of truth in that. Anyone, no matter how great an altitude they may attain in the academic world owe it to God, to themselves & to the people they influence to thoroughly research Mormon beliefs before making such assertions & this he has clearly not done. Me ex-wife is on the verge of resigning from the LDS, why? Well, I’m sure she wont mind if I quote her. I’m amazed that a high-flying academic such as Dr. Mouw, presumably a man who is far more knowledgeable than her concerning scripture, cannot do the same. Has he never asked why the LDS should be so widely considered a cult if they are as close to mainstream Christianity as makes no difference, did he never question any long time members of the LDS or did he simply take the ‘broad road’ & accept everything he was told? If he had an ounce of Christian discernment he wouldn’t even have considered making false prophets & false apostles his ecumenical bedfellows. But the problem is that Mouw makes several key mistakes. He has built up strong friendships with BYU faculty. Nothing is wrong with that. But he then goes on to take everything his BYU friends say at face-value; and, not only that, but to take it as representative of Mormonism in general, Mormonism at its healthiest, one might say. I believe that BYU-revisionist Mormonism needs to be addressed head-on and given an ample biblical, historical, and theological critique. But it must receive these as it is: as a revisionist trend within Mormonism, not as the One True Mormonism(TM). Because Mouw focuses so exclusively on this trend – and, indeed, exaggerates it, as is clear when his statements are compared even to what Millet and Robinson say – he has a woefully lopsided and naive view of Mormonism. As Sharon said, he needs to read the manuals. If Mouw made that his attitude, I think only the most hard-line would take issue with him. But that isn’t what Mouw does, so far as I can tell. I don’t see a sign that he seriously challenges his dialogue partners. I don’t see a sign that he recognizes and admits how unrepresentative his dialogue partners are, from the perspective of Mormon theological history. I don’t see a sign that he takes seriously the need to make a realistic and critical evaluation of what his Mormon friends are saying. I don’t see a sign that he recognizes the legitimacy of other Christian ministries that take a different approach. And I don’t see a sign that he accepts or even notices criticism of his approach, even when that is well-founded. Until Mouw realizes these things, I fear that his work will ultimately be counterproductive. Which is a shame. I don’t see Mouw as unchristian, but I do think that these issues can be summed up under a two major headings: naivete and pride. He owes it to his standing in the academy to be rid of the former and to his life in the church to be rid of the latter. This is no small thing. The Mormon gospel is a different gospel. That’s why when Mormons really dig into the NT and what the gospel is, they find a serious disconnect. Where does the Mormon gospel come from? Where does the Mormon notion of who God is come from? I wouldn’t want any part of this type of gospel primarily because it offers no hope for the sinner. Besides that the goal of Mormonism is goof-ball stuff. What is that goal? That men can work their way through a system to join the pantheon of gods. Again, where did Smith get this nonsense? It must be remembered that the BoM often sounds like something that came out of a Methodist revival. That’s because that was Smith’s opening bid as he started his religion. As we know, he went through about eight versions of his first vision story and about four renditions of who God is before settling on this god who use to be a man scenario. In addition to that, he even created a god that is depicted in the infamous BoA sitting on a throne exposing himself. As it turns out, this is the Egyptian fertility god Min. Bottom line? Joseph Smith was totally clueless. Any Mormon like Mouw who thinks there is commonality between orthodox Christianity and Mormonism is totally clueless too! I identified Mouw as a Mormon. My bad! Got my guys mixed-up. You had a couple of really good points in your post, well you had more than a couple, but a couple that caught my eye in particular. “A woefully lopsided and naive view of Mormonism”. We could spend a lot of time on that one. We have trouble continually on this blog when Mormons show-up here trying to tell us what Mormonism is. It’s obvious they haven’t read the manuals either. What they typically tell us is what they want Mormonism to be, not what it is actually defined as being by the leadership. Just a thought, what’s the deal with these people. Are they truly ignorant, liars or do they want to stay in Mormonism but can’t handle SLC style Mormonism? Why don’t they just join a different sect of Mormonism or better yet, start their own. This is, after all, a main feature of the Mormonism. Be your own prophet! that Mormonism is not really too different than the other churches in the neighborhood . Joseph Fielding Smith , Ezra T. Benson , etc . like him and many of his beliefs . Perhaps they would issue him an apology ? Here’s an excerpt from a news article concerning the Bishop of Durham, the second highest post in the Church of England. What does this have to do with Dr. Mouw? Well, the Bishop of Durham attended a seminary, he gained honours & he rose right to the top of the ecclesiastical ladder, but, as can be seen from the quote, those things did not make him a Christian. I know very little of Dr. Mouw so I cannot say this is the case with him but the old adage, ‘all that glitters is not gold’ does spring to mind. I don’t want to be accused of nit picking but I wouldn’t be true to myself if I failed to say something about a small item in Johns post. Forgive me if I cause offence, it is not intentional. Dr. Mouw should NOT be naïve, and he should NOT be prideful, I would expect to find that in a new convert but not in a man of his age or standing. Naivete & pride in a man who has gained such stature in his chosen profession (I hesitate to call it a calling) is out of place & I can’t help but compare him to men of the past such as Spurgeon & Tozer, both of whom earned the love & respect of Christians worldwide. They were committed to one thing only, the Gospel of Christ & had no interest in trying to make square pegs fit round holes. Dr. Mouw, from my perspective at least, appears to be more interested in the ecumenical movement & in seeing his name in lights rather than in truth & that to me is not the mark of a Christian. All I have to say is that Dr. Mouw will never find Mormonism in the BoM. It isn’t there. Joseph Smith believed in and taught the Holy Trinity when he wrote it. We can easily see this by comparing 1 Nephi chapter 11 in the original version to the changes made by the LDS church in the version they use today. He obviously doesn’t know anything about the great apostasy, or what the leaders have taught about Christians and Christianity. Whore of all the earth and harlot daughters come to mind. Maybe he needs to get heavily into the D&C and then talk about similarities. There are none. I have to shake my head at the dishonesty of the Mormons he talks with. It’s very disturbing that they would even begin to allow someone to believe that Mormonism and Christianity have ANYTHING in common other than similar sounding words. Didn’t Dr. Mouw read or hear the words of Gordon B. Hinkley when he said he doesn’t believe in the traditional Christ of the Bible? This speaks volumes and should be a red flag for any Christian looking into Mormonism. Obviously the Mormons Dr. Mouw speaks with have been withholding the words of their prophets. How dishonest, but not surprising. Mouw is wanting to fill Mormonism up with his own meaning as do many Mormons. He doesn’t want to be like that nasty Ed Decker and his ilk writing books and producing videos on the “God Makers”. I would guess that Mouw is trying to carve out a niche for himself and I wouldn’t doubt if there’s some sort of play for LDS approval. I’ve seen this same thing on meetings of atheists, former Mormons no less, who get up and testify and the positive vibes from those gathered is like a love fest. Does anyone know what BYU Mormonism is? I’m curious. The LDS/SLC sect is very much like the FLDS but without polygamy and Adam-god. From what I gather, BYU Mormonism must be a lot like the Community of Christ. I read something, can’t remember where, that CoC folks coming from a foreign country wouldn’t even know what the BoM was. There are congregations within the CoC family that don’t even use the BoM. My impression when I visited the CoC historical sites in Nauvoo that they see the whole Joseph Smith deal as part of their history that they can’t deny. But as far as venerating the guy, I don’t think so. So what is BYU Mormonism and what about the young people that attend there. It’s instructive that its been estimated that 50% of Mormon missionaries go inactive. Maybe BYU Mormonism is a way of stemming the flow out of the church. – He says ignorant (sounding) things about how the BoM has things that sound Christian (since, as already pointed out, the BoM is not very LDS at all). -He actually says (as Sharon quoted), “there’s more commonality than we realized in the way we talk about Jesus and his atoning work.” Now, as an academic, Mouw knows he chose the word “talk” as opposed to “teach” or even “believe”. So he is either trying to stretch a sliver into a bridge between the two groups, or he is intentionally ignoring all the negatives – the fact that what is taught and believed is very different than what seems to be spoken. -But I have to challenge Mouw’s logic here. Under what reasoning should we give greater weight to any hint of commonality and ignore the massive differences? If the commonalities are significant, then the differences are, too. Mouw seems to be giving shalom and political activism as the reason. Now, I am pretty sure Jesus wasn’t very worried about political activism – gospel, not right to religion, was the Great Comission. Does the latter help with the former – only in ease of attempt, not necessarily in effectiveness. Right to religion might make it “safe” to spread the Gospel, but how much better is the Church and its authentic growth under pressure??? As for shalom, can there be shalom while falsehood is ignored and while good work is done together, lending that falsehood credibility? Did God call New Testament Christians to work with the Gnostics for religious freedom? Mouw doesn’t want LDS and Christians to be “shouting at each other and demonizing each other.” I understand that. I think we all do. OK, that’s what MRM accomplishes without ignoring the differences. Does MRM increase shalom? I think it does. Can there be peace with disagreement and even counter-evangelism? Yes, truth – even the discussion and arguing for truth – is not anti-peace. It is the only means to true peace, true shalom. I think Mouw may be sacrificing truth for “shalom” when all he really needs is true Christian love to be present as Christians interact with LDS. But there were a couple of quotes that Sharon didn’t discuss that I wanted to bring up here. Mouw said, “Evangelicals and Mormons have a lot to talk about and a lot to share about the hope that lies within each of us. We need to work together, learning from each other and bearing witness to the hope that shines within us.” Is it just me or isn’t there a BIG difference between the “hope” within Biblical Christians and the “hope” within Manual-General Conference LDS? One True Mormonism as johnsepistle put it (although the Fundamentalists would have something to say about that ;). The hope is Jesus. The hope is the Gospel. And “Jesus” and “the Gospel” are VERY different between the two groups! So the hope is difinitively different. Slapping “Jesus” and “Gospel” on each person’s hope and ignoring how the labels don’t fit or quite stick doesn’t really help. By just claiming that our hopes are compatible we dishonor Jesus, lie about the Gospel, and blunt the effectiveness of our true Commission – the spreading of the (True) Gospel. I’ve read Mouw’s book. I know he is aware that terms are used differently (which makes his “talk” quote I discussed earlier all the more shocking). I even relate to some of his more nebulous human condition common ground stuff. But does Mouw understand that 75% of LDS converts have at least a background in Christianity? Does he understand that most such converts believe that LDS is Christian (or the True Christianity)? So why does he think it’s ok to muddy the waters even more?! For politics? For truth ignoring “shalom”? Really? I think Mouw, like others too concerned with politics, has lost sight of the Great Commission. The massive inaccuracy of this statement cannot but significantly and explicitly put Mouw’s familiarity, knowledge, and understanding of Mormonism (and the Evangelical response he has apologized for) into severe doubt. Here Mouw seems to be emptying the phrase “redemptive power” of meaning. What is the redemptive power of Jesus in Christianity and in Mormonism? “almost”, “cannot”, “if”, and “as far as you” don’t evoke “redemptive POWER” at all. Mouw contrasts a hypothetical commonality in our beliefs in the “redemptive power of Jesus” with the differences between our doctrinal disputes. Does Mouw think there is no doctrine in the redemption of Jesus? If he thinks that “redemptive power” can be (ab)used in such a way. What keeps him from using “doctrine” in a similarly flimsy way? Hey, Christians and LDS both have a belief in “the redemptive power of Jesus” and in “doctrine”! We should embrace these “shared beliefs”! Ok, not so short ;). There it is! Mouw has either: 1) just slyly indicated the necessity that LDS convert to only wanting Jesus (not their righteousness, not their family, not the Celestial Kingdom, not their godhood, not eternal increase) or 2) just admitted that he is willing to sacrifice the True Jesus and the True Gospel for “the cause of righteousness” (read political/social righteousness). Or a bit of both? There comes a point though – that any mormon who truly has/wants a saving relationship with Jesus can no longer hold onto false doctrine. It becomes too uncomfortable to stand. You can’t truly be free until the chains are severed- so it is in looking backwards that I can truly see the falseness of mormonism. It was through the testimonies of Christian pastors and Christian music that God gave me the courage to take the leap out of a religion and into a relationship with him. I am worried that people will hear brother Ravi and feel validated that they are just fine staying in the church (after all- the church wouldn’t have invited him if they felt he would invite people to leave the church) because we all believe the same thing- which we don’t. I hope with all my heart that he will BOLDLY proclaim the truth about Jesus Christ and that the soft-hearted Jesus lovers in the audience will hear with open ears and hearts and gain the courage to turn away from everything comfortable in exchange for TRUTH. The TRUTH about who Jesus really is- was enough for the fence sitters like I was. He is no longer my “assistant” to attain something greater – he is the sovereign Lord over my life and he alone is my reward. How amazing is that??? One more quick thought- All Mouw or any Christian apologist would have to do is watch an entire session of General Conference or read through the LDS hymnal to be completely turned away from the notion that mormons and Christians are saying the same thing. All I can think of as I’m sitting here thinking about Mouw is Dr. Walter Martin. Interestingly enough, Grant Palmer mentions bringing Dr. Martin in to address his seminary classes years ago. While I’m sure Dr. Martin was very polite, I’m doubly sure he didn’t pull any punches. A short sample is presented here of a presentation by Walter Martin. It’s about 9 minutes long and take note at about minute 6 and see the contrast with Mouw. What would happen if Christians stopped pointing out the differences between Mormonism and Biblical Christianity? That is, what we did as Christians is emphasize the similarities? I think it’s important to point out these differences and in so doing, cause Mormons to consider some things they may have never thought about. It’s also important for Christians who don’t know the differences to get up to speed on this “other gospel”. We are told, in God’s Word to give a defense for the gospel of Jesus Christ. Lives are changed and people get saved when we do this. Take the few minutes to watch these videos. The first one directly addresses what we are discussing here. I’ve said before that Mormonism is slowly creeping towards evangelical Christianity. It seems its beliefs are moving that direction, if not the leaders, then the lay LDS members are driving this trend. I know there are huge differences, which is why I believe it is important to demonstrate these differences to our LDS friends. The differences will always keep them out of the realm of Biblical Christianity, no matter how much they think they fall within it, and no matter how much they believe in their heart-of-hearts they are Christians just like us. But their presentation and superficial beliefs grow ever closer to sounding so much like traditional Christianity that its getting more difficult for those who do not know to discern the important differences. We’ve had at this site several times discussions concerning the supposed similarities. 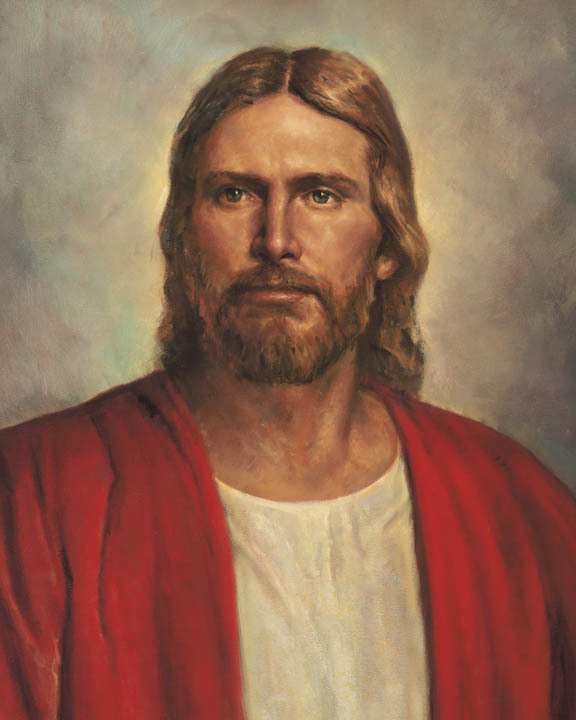 We Christians have challenged Mormons to explain the similarities beyond the superficial notions that w both believe in a man named Jesus who lived on the earth approximately 2000 years ago. We’ve challenged them to explain how their notion of grace alone is truly similar to our notion of grace alone. We’ve challenged them on so many other supposed similarities and they have never once offered anything more than superficial answers and wishful thinking. Dr. Mouw, I believe, has his heart in the right place: bringing trust and common ground between the two very different faiths can lead to better communication. However, as I understand, Dr. Mouw is ultimately no Mormon apologist. Its therefore unclear precisely what his goal is; though it is clear Mormons love to quote him and use him to suggest they are justified. From what I understand, Mouw does not think they are justified– he only advocates for more friendship but still finds LDS theology flawed. (If I am wrong, let me know). I understand his motives, but I think they destroy the ultimate goal of ministering to Mormons. Mormons, instead of hearing the important differences now feel empowered to focus on the superficial similarities. Defining the meanings is not important to them if they can equate themselves with Christianity. Having an accomplished Christian thinker tell them their beliefs are similar only shuts them down to discussion of the differences, which makes ministering to them more difficult. Should we approach Mormons with love? YES! But we should also speak truthfully and not whitewash the truth. We cannot serve two masters. Trying to appease one for the sake of friendship while ignoring the other will not make things easier or better. Building friendships (one master) is important, but so is speaking the truth (the other master). It seems Mouw may be better served focusing more on the latter. teaches is the church of the Devil — that includes the church Mr. Mouw worships at . the ” Ark of safety ” , and in very serious trouble . I probably shouldn’t do this but I’ve been thinking a lot about it in light of our discussion here. I’ve been following, at a safe distance, the controversy in the Southern Baptist Convention over Calvinism vs. Armenianism. I don’t mean to start a debate here on these theological perspectives, but rather to think about what it means when a religious group has inner conflict. As it stands right now, there is no conflict within the LDS church, from what I can see. Those in authority aren’t pushing for changes in what makes the LDS/SLC sect unique. For example, the LDS temple is the heart of the LDS experience. This is where LDS folks go to become gods, in a sense. They have to get this work done in the temples. In addition to that, this is where they do the “work” for the dead. The outcome, for the dearly departed, is that they might accept the Mormon program in the next life and become gods too. So, is this going to go away. No, without it the whole program collapses. We can talk about the doctrine of God, which I think is the essential thing when it comes to the major differences between LDS style Mormonism and orthodox Christianity. But it’s doing the temple that has those Mormons who are into it, attached to Mormonism. BTW, what percent of Mormons are temple Mormons? My guess maybe a third of those who are “active” in the LDS church. Let’s face it. This is where the status comes from, that along with the LDS priesthood. Who would be willing to give that up; of those who draw their spirituality, position, and status (from it). Anyway, here’s what I started talking about at the beginning of this post. Think about this, debates such as the one going on in the SBC right now is what Joseph Smith latched on to in formulating his new religion. He used such debates and controversy to emerge as a “modern day prophet” who could set all things in order. Armed with his magic rock, his hat and fantastic stories of appearances by all manner of spirit beings, he captivated an audience of people seeking answers. Unfortunately, these folks should have consulted their Bible first before they joined Smith in his nefarious journey into religious experimentation. When Southern Baptist delegates gather for their annual meeting Tuesday and Wednesday in Houston, they’ll be presented with a report, ”Truth, Trust and Testimony in a Time of Tension,” that focuses on the growing popularity of Calvinism among Southern Baptist pastors and seminaries. At stake are fundamental beliefs on who can be “saved,” the need for evangelism and whether Baptists will retread familiar battlefields on the proper roles of men and women. Calvinism, which traditionally is the domain of Reformed churches like Presbyterians, differs from traditional Baptist theology in key aspects, particularly on the question of salvation. The report concludes that those aspects, while important, should not divide Baptists. This Religious News Service piece is popping up in several places. It includes lot of theological terms with very specific meanings in this debate (predestination, election) but is light on definitions. This is especially frustrating when the entire debate hinges on these definitions, but we don’t hear anything where each side falls other than a quick “Calvinists believe in predestination”. The debate really hinges on Unconditional Election, Limited Atonement, and Irresistible Grace. For an example of the confusion this reporting causes, this fragment from the RNS article “Eighty percent of SBC pastors disagreed with the idea that only the elect will be saved” is loaded with ambiguity. I haven’t seen the original LifeWay poll to know who was surveyed or the types of questions asked, but does that response mean this 80% of SBC pastors think that non-elect will be saved? That elect will not be saved? That there’s no such thing as election? What would that even mean? It also conflates Reformed theology in the SBC with gender roles, specifically around female clergy. And to speak to this issue, they interview a *former* Southern Baptist! This one from AP is a little better (although the sides are lined up as “Calvinists” and “non-Calvinists”). There’s a bit of interesting speculation as to why this debate is happening now, but no real evidence. My point is that the LDS sect of Mormonism would have to give up way too much in order to come into line with orthodox Christianity. There’s just too much built in institutional resistance. It’s not like when the Catholic church switched from saying the mass in Latin. It’s way bigger than that. What I would guess is going to happen is that there will be a whole lot more social Mormons and nominal members. Think about it. Who would want to do all of the stuff that needs to be done in order to be a full blown temple Mormon? Not many. At the most, they may get the nominal social Mormons to keep their temple recommend for family purposes. Anyone who becomes born again by recognizing the God revealed in the Bible and his plan of salvation through His Son Jesus Christ, is not going to remain a member of the LDS church. There’s always something like this that will happen to get people’s eyes off of the simple gospel . produced . What’s next ? church is not the answer . They will never be accepted by Christians so long as they actively tear families apart. They claim that they are all about families being together forever but they actually separate families for time and eternity. A Christian family is together forever, but with a Mormon family ALL members must perform the same level of works to be together forever. I personally have never met one Mormon family that has all nuclear members worthy of a temple recommend. They will never be considered as Christians so long as they regard worthiness as what you eat and drink. They will never be considered Christians so long as they regard worthiness as a flat tax payed to their organization that burdens the poorest. They will never be considered Christians so long as they regard worthiness as what you wear. But they are not now nor have they ever been concerned with being Brothers with us, they are only concerned with superficial agreement with Christianity. That is their Trojan horse, that is their tool, and this is their objective. I would agree with the Trojan Horse characterization. One of the things I noticed way back when, when I first started studying Mormonism was the blatant dishonesty of the LDS church. The dishonesty certainly hasn’t subsided because Mormonism depends on deception both by omission and commission. By and large the LDS church doesn’t want people to know what they actually believe, what their leaders have taught over the years and the embarrassing details about Joseph Smith. Former Mormons have posted here, most recently Kate, about what they didn’t know and what a shock it was to make certain discoveries. I can’t think of anything that the LDS church would actually change. The last big thing was the ban on blacks in the priesthood. I guess they’ve changed one of the temple rituals to get rid of the throat slitting and bowel dissecting motions Smith lifted from the Free Masons. I guess they’ve also gotten rid of the Christian pastor being bought off by the devil in one of their little dramas in the temple. It’s kind of funny don’t you think? I wonder what the original apostles back in the first century would have thought about these folks changing these things. to be accepted as another christian church . They’ve already exhibited this type behavior . name , handshakes , etc , and then also portraying christian Pastors as hirelings of the Devil ) . Polygamy was said to be a restored essential ordinance in Jesus’ church by Mormon apostles. they give . That’s a sad scenario . Mike, to be honest I don’t believe there ever will be full disclosure about anything, to do that would mean financial suicide & when it comes down to brass tacks, isn’t that what the Corporation is all about, the acquiring of wealth? The LDS was founded on deception & no matter what changes are made it will never be a Christian organization until it acknowledges that it’s founder was a con man & that I’m afraid, simply isn’t going to happen. The Corporation seems to re-invent itself at least once every generation, the last major doctrinal shift being as you said, in 1978, so I imagine that some kind of change or changes can be expected soon. But, whatever those changes might be they will never be major enough to show the LDS for what it is, a deceptive authoritarian non-Christian business organization. Try as it may to appear Christian, it’s all on the surface & when one peels back the layers it’s seen to be as corrupt as it ever was. I believe it’s important to remember that the controlling influence behind the LDS & no, I don’t mean the latter day prophets, was clever enough to create the idea of continuing revelation (as opposed to a closed cannon) & once that belief became established it meant that the Corporation could say & do more or less anything it wished (apart from denouncing Smith) because that, in the minds of the members, is the way God works. I suppose, in a sense that should be proof enough that the LDS is non-Christian. There are always going to be people who think with their emotions & it is they who tend to keep the LDS in business, if that were not so the Corporation would have been consigned to the rubbish dump of history many years ago. All we as Christians can do is to keep plugging away on sites like this in the hope that ‘closet doubters’ will come here & react positively to what they read. And there it is, thinking with their emotions! That’s the hook. I’ve been to enough LDS sites in this country, taken enough tours to know that it’s all about creating an ambiance, an emotion and selling it as a spiritual experience. Given that, I wonder why the LDS church services are so boring………as I’ve been told having not personally experienced one. You’d think they’d be jacking the crowd up and doing some major emotional manipulation. I do understand that the Fast and Testimony meetings can get real emotive though. You know, shaky trembling voice, tears testifying how just wonderful the whole trip is. Oh, BTW I picked-up a copy of a recently written biography of the Beatles called “Tune In” by Mark Lewishon; the primer Beatles historian. It’s pushing to 800 pages but I’m really enjoying it. Being that you were there at the time, I think you’d really enjoy the read. I wish you were around here so I could ask you about the people, places and just the environment in your home country so soon after WWII. Let me say I’m learning something about the British educational system (did you pass any “O” or “A” levels ?) and also some new vocabulary for food, clothes and people. What in the world are jam butties, drainees, sidees, and Teddy Boys other wise known as “Teds”? I’ve figured most of it out but the housing, the welfare system etc. are totally foreign to me. Well I guess because they are foreign. The book is combining some of my main interests which are history, culture, music, and the “how did they get there” aspect of the Beatles development. historical documents are in the First Presidencies private vault etc . The Mormon people deserve to know . We’ll keep praying for this to happen . I certainly agree with what you say & one can only hope & pray that such an event occurs, I’ve heard rumours of the possibility of something like that happening but it’s hard to sort the wheat from the chaff. My instincts tell me no because, as I understand the set up, there is a lot of money involved & in the LDS money talks. I can’t help but wonder at times if there is something akin to the Sicilian Mafia at work in the upper echelons of the Corporation where people dare not speak out for fear of incriminating themselves. It’s one thing for a man to say, “I was wrong in what I believed” quite another to say, “ I helped the LDS commit fraud” The strength needed to do that could only, in my opinion come through divine intervention. I’m happy to see that you’re interested in my country but I have to be honest & say that due to the various political parties being more interested in vote catching than in the country as an entity it’s no longer the place I grew up in. Best not to get too much into that though. I’ll try to help you with a few of your queries, yes, I gathered a nice collection of ‘O’ levels but due to family problems no ‘A’ levels, which meant no university education for yours truly. Let’s have a quick peek at the vocabulary of the times, Jam Butties, a local Liverpudlian name for Jam (Jello?) sandwiches made popular by the Beatles who as you know hailed from Liverpool. Drainees presumably are the same as ‘drainpipes’ no not the kind that are found on houses, rather skin-tight jeans. Sidees, another name for sideburns or sideboards as we called them in the West Country. Teds or Teddy boys, I’m not sure how to describe them, I missed being one by a few years as they were a mid-fifties phenomena but basically it was someone who wore drainpipes & long ‘drape’ coats. The ensemble was completed with string ties & ‘brothel creeper’ shoes. (Suede shoes with soft soles about an inch thick.) Sidees, the longer the better, were of course compulsory for the ‘with it’ teddy boy. The welfare & housing system is best left for another time as it can get quite complicated but I’ll briefly tell you a couple of things about the welfare system. (My pet grouses) It was introduced shortly after the war & was probably the best thing that any Government could have done for working people. Needless to say it has been so abused since that time (for the sake of garnering votes) that it has become a sick joke over here, many people who simply refuse to work get free social housing, free holidays once a year free even free cars if they’re accomplished enough at lying & swinging the lead. Many of them, especially young women/girls simply become baby factories for the sake of a free lifetime ride & in many cases they can’t even name the fathers of their children Most get far more money as single mothers than I ever earned as a hard working father. Ah well, that’s enough moaning for today. Ps, I don’t know how many of the Beatles records you have, perhaps you have all of them but hidden deep in the recesses of my 5 computers I have copies of every record they ever made, including white label ones. Maybe one day I’ll get around to sorting them out & if I do perhaps a way could be found to get some of them to you. Should you want them of course? I think Old Man is right to bring up the issue of $$$$$ and to rightly call the LDS church a corporation. And so perhaps if they start losing tithe paying members in large numbers, this may drive some changes. Let’s face it, there’s a limited set of people who would get into being “temple” Mormons. Also consider that two-thirds of those on the rolls of the church are inactive. So where will they go to get new members? The foreign countries might be a good place to recruit since there’s no internet. But would these foreign country campaigns be a drain on the coffers especially in third world countries? I was a 17 year old high school junior when the Beatles hit the states on the Ed Sullivan show. I have old LPs. I like the early phase. I have “Meet the Beatles”, “Something New”, “Revolver” and “Rubber Soul”. The basic challenge for the LDS church has been to hide their style of Mormonism from the general public but in particular, possible recruits. Actually part of the challenge has also been to hide Mormonism from its own members. The reason, I think, that those who leave do leave is because they felt that they had been lied to as the religion has been misrepresented to them; despite the fact that many have been life long members. So, in-other-words, “the church” is not what its members thought it really is. It appears that Dr. Mouw is quite deficient in his knowledge or possibly finds it more convenient to over-look what is obvious in Mormon history, doctrine and practice. And here’s the thing, Mormons who post here are constantly telling us that we’re getting it all wrong about Mormonism. We are, in their view, mis-representing or mis-interpreting what their prophets, apostles and other leaders have said and taught. It’s pretty hard to not understand, for example, what Brigham Young taught in his Adam-god doctrine. Because even latter day Mormons couldn’t accept it, it gets the “opinion” or “folk doctrine” label. My point is, if people knew up-front what Mormonism is all about they wouldn’t join. I’ve never had “the lessons” and as an educator, I’m always interested in the goals and objectives in a lesson plan. So what are there, something like seven lessons? Is the objective of the first lesson to get someone into the baptismal tank as soon as possible? From a brochure that Mike R. sent me I can see where the main goal is to get the prospect feeling something and then to equate that with the Holy Spirit. Here’s something from MRM that I think is very good. It’s titled, “Ten Lies I Told as a Mormon Missionary”. I doubt if Dr Mouw is familiar with the flim flam game that is played by Mormon missionaries and that they are indeed presenting a pathway to spiritual destruction through the preaching of a different gospel. Speaking of flim-flam check out this account of someone who served a mission back in the late 1970s. It’s quite instructive when looking at a historical perspective of LDS practices in recruiting members. In the fall of 1977, I was called to a mission on the Navajo reservation. My best friend received his call at about the same time. We went to Provo together to go through the temple. I was shocked. Nothing had prepared me for the endowment ceremony. This was in the bad old days before the blood oaths were removed. Did my eternal salvation really hinge on knowing some secret handshakes and phrases? Did my church really believe that all other churches were of the devil? I had lots of questions and doubts, but since we were instructed never to discuss the ceremony outside of the temple, I never voiced them. I just clung to the belief that God must know what he is doing, and trusted him. I spent several weeks in the Language Training Mission studying Navajo. During this time, I struggled with my testimony. I wanted desperately to believe, but found that my doubts crowded in time and time again. Just when I felt I had taken a step forward, I slid two steps back. Being a missionary to the Navajos was often discouraging to me. They treated us politely, would invite us in, would listen to our lessons, and would send us on our way. Even when someone agreed to be baptized, they seemed to drift away into inactivity in a short while. Our records were full of inactive Navajo members. We baptized a few young children and one of my companion’s parents. But the conditions on the reservation were very depressing, and I constantly struggled with the question of whether we were doing any good for the people. In my second area, we lived in a small apartment in the back of a laundromat behind a trading post. The trading post was run by church members, who were very kind to and supporting of the missionaries. They also had a copy of the documentary history of the church, which they lent to me. I started reading it during my scripture study time. I made it through the first five volumes. The more I read, the more problems I found with the church. I began to realize that the church of which I was a member bore little resemblance to the organization founded by Joseph Smith. As winter turned to spring, our efforts turned to “placement baptisms.” At that time, the placement program was the LDS church’s major effort to bring Lamanites (the LDS term for Native Americans) into the church. Children were taken from the reservation into LDS family homes throughout the country to attend school. Many Navajo parents wanted their children to participate as a means of getting them away from reservation and into what they perceived to be a better environment. There was one catch……to participate, you had to be a church member. So, every spring, lots of children would be baptized so that they could participate in the program. We were told that the previous year there had been 900 placement baptisms. The mission was very gung ho with this program, but there was little discussion of the impact of separating children from their families and their cultural heritage for three fourths of every year. The more I read from the church history, the worse I felt. The more I studied, thought and prayed, the more problems I found with the church and what it claimed to be. I started compiling a list of problems. It became harder and harder for me to go out and teach. When I got to the part of a lesson where I had to bear my testimony (even memorized in Navajo), my stomach would tighten into a knot. I became physically ill and couldn’t go out to teach. Finally, I realized that I couldn’t do it anymore — tell people that I knew the church was true when I had such serious doubts. I felt like I was in a fog, and I didn’t know what to do. Well this missionary decided what to do. He left! Good move. the more problems he found with what the church claimed to be . That’s the whole point with the Mormon church i.e. what it claims to be . of society then we would’nt be on here and MRM would not be necessary . But the claims of Mormonism go way beyond this . can a person attain a right relationship with God . people can avail themselves of today to also be safe spiritually . I’m not sure that the apostle Paul knew who Vince Lombardi was although they were both Catholics. I listened to one of the head honchos of the Mormon missionary training program tell the trainees that is all goes back to that little grove of trees. What he was referencing was Joseph Smith’s account (one of at least eight) where he claimed to have a visionary experience. As Christians, we take people back to the cross of Christ. Because, contrary to what the LDS church teaches, that’s the place that Jesus atoned for our sins. It’s not real complicated. 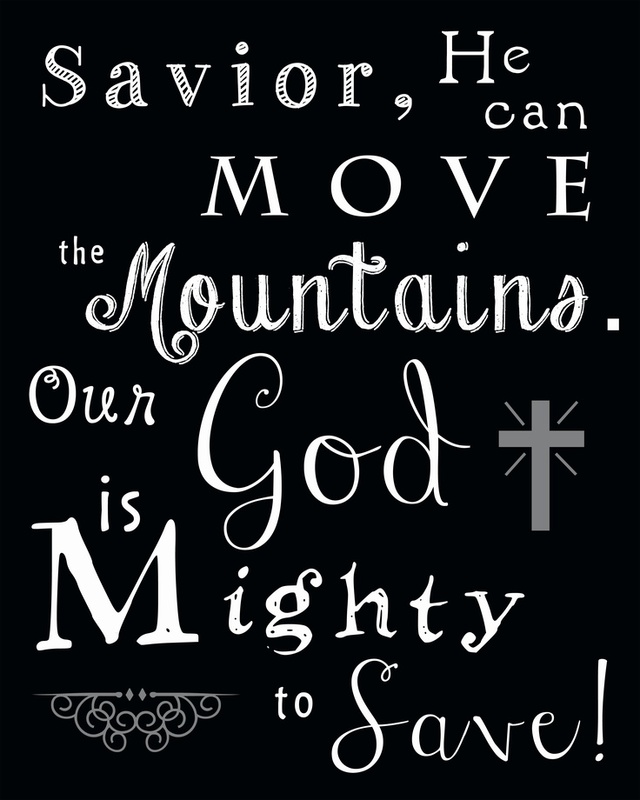 Mormons need to know exactly who God is and what His plan of salvation entails. It’s Christianity 101. It’s blocking and tackling. Jesus is not the spirit off-spring of a father-mother god who use to be human but are now some sort of divine creatures. Jesus is not just one of many gods populating the universe. Jesus is God incarnate. 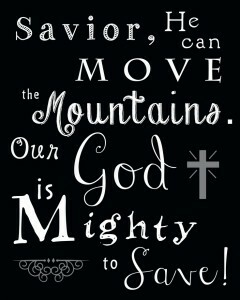 He is the qualified Savior. It’s important to get that right. It’s foundational. Without having that clear picture, nothing else really matters. I wish I could post pictures on here! I actually played at the Beatles cavern club a few years ago while on tour in England. It was quite the experience. As far as the morg, isn’t Tom Phillips scheduled to release info on the church very soon? Everyone here should go check out the AMA he did on reddit last week. It was very informative about the church leadership and how they act and work behind the scenes to convince members they have “seen” Christ. They are instructed to completely lie about it. Anyhoo, hopefully the info that Tom is about to release will be as big as he says it is. Tom has been working extremely hard on a matter that has the potential to be extremely damaging to the LDS. Although I’m not sure if it’s him or the people he’s been working with who will actually be releasing whatever it might be. I don’t know if you’re aware of this but Tom has been harassed & threatened for months over it & has continued to plug away regardless. What is interesting is that the very basic things are what we have in common. 1. There is a God. 2. We are separated from him. 3. Jesus is our way back to Him. The other stuff is how we see God and Jesus Whom He has sent. 1. there are plenty of religions (most non christian) that believe in a god. 2. The same can be said of being separated from him. 3. Jesus is only partly useful in mormonism in getting back to god, unless you get the 2nd anointing… then you don’t need jesus. So not much in common it looks like. I am trying to point out the simplest thing. You seem to want to make a huge thing out of it. Even with a non-christian religion It is nice to establish some common ground in there belief in God. I believe there is a God, do you? I believe we are separated from Him, Do you? I believe Jesus is our way back to Him, Do you? Latter-day Saints like Clyde often like to point to some extremely basic, ground-level aspects of LDS teaching that, superficially at least, would seem to warrant their inclusion among Christian groups. (Clyde hasn’t made that precise argument here so far, so let’s be fair to that; but, on the other hand, Clyde also hasn’t said anything about what he imagines we’re to do with the similarities he points out.) I don’t want to minimize similarities, just as I don’t want to minimize differences. The similarities are precisely what gives the differences their meaning and significance. However, there is a crucial question for Latter-day Saints to wrestle with here. Simply put: The similarities you cite between your system and biblical Christianity, would also have been supported by the Judiazers and other groups whom Paul routinely excoriated; and so, in light of that, why should Christians not, at best, regard Latter-day Saints as Paul regarded the Judaizers and the so-called ‘super-apostles’? If the Judaizers or ‘super-apostles’ could have invoked the very same set of similarities between their beliefs and Paul’s beliefs, then clearly (even though they are necessary) they are not sufficient, in and of themselves, to avoid being “false brethren”. And it is precisely to recognize the distinction between “true brethren” and “false brethren” that Christians deny the title ‘Christian’ to heretical groups. Common ground is good. Common ground is valuable. Common ground should never be understated – or overstated. But a great deal of the value of common ground comes from its employment as a place to come together to seriously, intelligently, reasonably engage our differences. We might be zoominig past each other if I mention that Paul Had Barnabas circumsized even though Paul was against the practice. There are other thing that I am overlooking in mentioning this. This seems to be like a Puzzle which I don’t have all the pieces. If Clyde’s comment is more or less directed at me (it isn’t easy to tell), probably the first thing to point out is that Paul never had Barnabas circumcised; that was actually Timothy (Acts 16:3), who was a half-Jewish believer who had not been circumcised at birth and who needed to undergo it if he was to successfully reach out to Jews. (Barnabas was a full-blooded Levite from Cyprus – see Acts 4:36 – and so would have been circumcised as a newborn infant.) This was very different from the teaching of the Judaizers, who urged circumcision on all believers, Jewish and non-Jewish alike, as a requirement for salvation. For this error, Paul clearly did not regard them as fellows in the faith: they perverted theology. (If Clyde is attempting to insinuate that Paul’s circumcision of Timothy meant that he looked favorably upon the Judaizers, then I submit that Clyde is in dire need of reading a fascinating letter written to the Galatians. Clyde’s statement is too muddled, however, to clearly and reliably identify what he is or is not attempting to insinuate.) Hence, any Latter-day Saint who wants to make a sound case for Mormonism being accepted as Christian on the basis of similarities with commonplace Christian teachings, must make a clear case that could not also be made in favor of the Judaizers. OK, now you can’t leave me hanging here! I need to know more about what you said regarding playing at the Cavern. What’s that about? ……..and who is Tom Phillips? What’s that about? Yea, it really is just a small trivial matter as to who God is. How can we be so picky? It really doesn’t matter who people think God is as long as they believe in something and are, by and large, decent and moral. Man, I can see how and why you’re trapped in Mormonism. Your naivety knows no bounds! I used to be a moderately successful pop musician from 2005-08. I toured England and the US a few times. I actually have played the cavern twice and I was featured on bbc radio. It was fun. Took a break for a few years to have kids. I am just now starting up new music again, but playing music full time barely pays the bills, even for successful artists. At least now that I’m put of the morg, I’ll have more time to focus on things that matter.